From classic Korean BBQ in Albany Park to decorated fine dining destinations to fried chicken joints with legions of fans, the quantity and quality of Korean food in Chicago has grown to a point that someone might have to write a song called "Seoul Man". Sorry, that joke was terrible. Luckily, these establishments are quite the opposite. 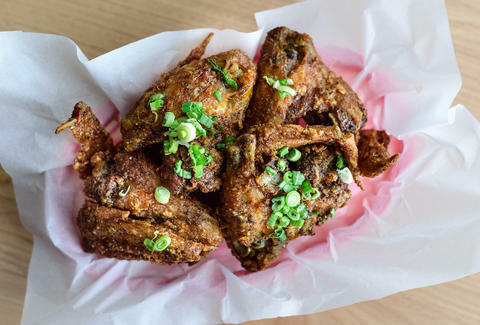 We’ve already told you that Crisp makes the best wings in Chicago, and that title is all thanks to that expertly twice-fried skins and the Seoul Sassy’s ginger soy garlic sauce. Dak serves up enormous (seriously: they’re huge.) drumsticks with extra-thin, super crisp skin, the trademark of Korean-style wings. While the soy-garlic is also delicious, get yours tossed in the spicy-BBQ option. This table-top Korean BBQ spot with Tokyo flavor is a hotspot for visiting Japanese baseball players -- there’s even a life-size cut-out of Ichiro. Come in to hang out the hit king, and enjoy the beef tartare, marinated beef liver, and prime ribeye wrapped in lettuce and spicy soybean paste. Finally, something you enjoy raking over the coals more than Ventra: tasty short ribs. Everything’s cooked over a charcoal grill, which seals the meats with caramelized char that’s unattainable on conventional, electric, tabletop grills. The Kalbi is top-notch; pair it with an abundance of banchans until as late as 3am. Chef Bang bangs out traditional Japanese and Korean fare at this upbeat neighborhood spot. Bring your favorite bottle of booze, and settle in for attentive service, stone-bowl bibimbap with marinated beef, cross-cut short rib, and drunken fried wings with Gosu fire sauce. This place is no secret amongst Loyola students and its Rogers Park neighbors, but it’s time the rest of the city got familiar. 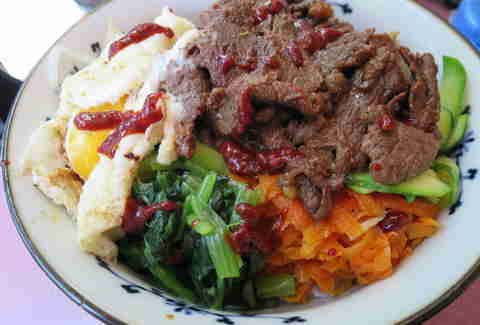 Susie’s is your spot for a Korean inspired breakfast like that which your grandma would make. Not only do you get to indulge in fantastic bi bim bop and omelettes mixing American cheese with funky kimchi but you also get service with a smile. It’s no longer a secret but any list without the best Korean bar food in the city just isn't legit. All you need to know is one thing, two words. Fire Chicken. They manage to make the meat both well charred and juicy and bring the heat with each bite which is just fine because there’s plenty of alcohol to calm it all down. There’s a nice little Korean cafeteria located inside this popular Korean grocer but you don't even have to step inside to get one of the best food deals in the city. 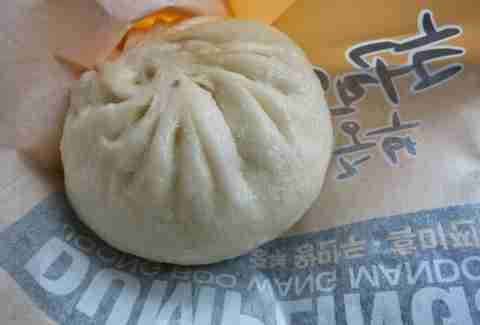 Located at the entrance is the almighty dumpling stand specializing in Mandoo which are large Korean dumplings stuffed with meats and veggies. Just $2 for your choice of filling and you got yourself a nice light lunch. We’re partial to the pork offering. 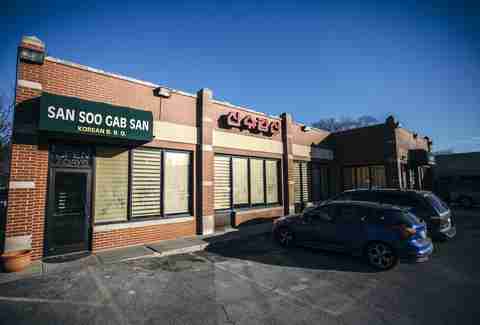 Hidden in a strip mall on Kedzie are some of the best Korean wings in the city. Crispy is an understatement with these things, not to mention the flavor each wing packs. It doesn't stop there: you can also enjoy many other family favorites all made by the sweet mom and pop team that own the place. For $20, you’ll get alllllllll the buffet-style pancakes, kimchi, and galbi. Large grills sit on the tabletops, so diners can cook the meat to their liking, and there’s no corkage fee for those who embrace the BYOB policy. 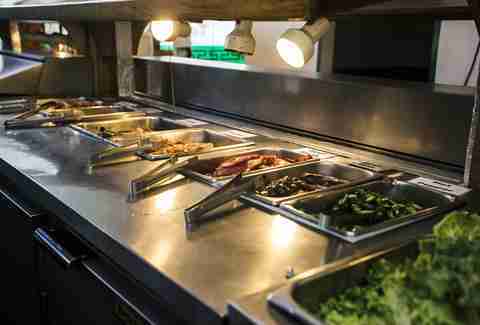 You can’t go wrong with the large portions and reasonable prices at this BYOB mainstay that's equipped with hot plates at every table. Nosh on the chadolbaegi and bulgogi, and don’t miss the seafood pancake. Pro tip: the place is consistently packed and they don’t take reservations, so try dining during off-hours, or be prepared to wait. 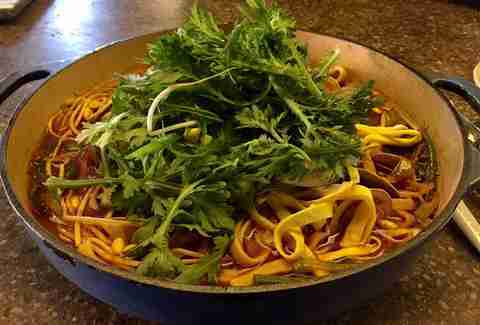 Korean food saw it’s rise into the gourmet nationally recognized category this past year with this James beard award-winning restaurant. The team takes Korean favorites and ever so slightly slightly reinvents them into pretty plates that taste every bit as good as they look. When the current owners bought the previous business, which was also a restaurant, they made sure to keep the locals favorites while adding their own Korean family recipes to the menu. Staples like Bulgogi, Kalbi, teriyaki, and twigim (deep fried) make out the menu alongside American diner classics and the aforementioned long time customer favorites such as akutagawa. Titus Ruscitti is a contributor at Thrillist and longtime Chicago food explorer. He is the man behind "Smokin' Chokin' and Chowing'," "What's Your Beef," and "The Chicago Taco Tour." You can peek in on all his adventures on Instagram: @chibbqking.